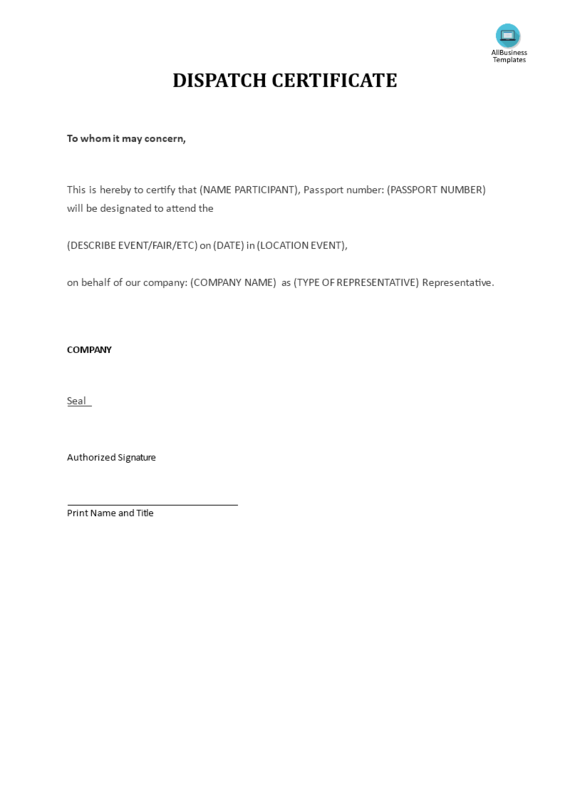 Are you looking for a Dispatch Certificate to reply a formal invitation to visit an event? Download this Dispatch Certificate word template now! In business, you are often invited by your Suppliers or Customers. If you want to attend such an event, you can provide a Dispatch Certificate to involved stakeholders. Download this formal Dispatch Certificate template now! Using our business templates guarantees you will save time, cost and efforts and helps you to reach the next level of success in your education, work and business!